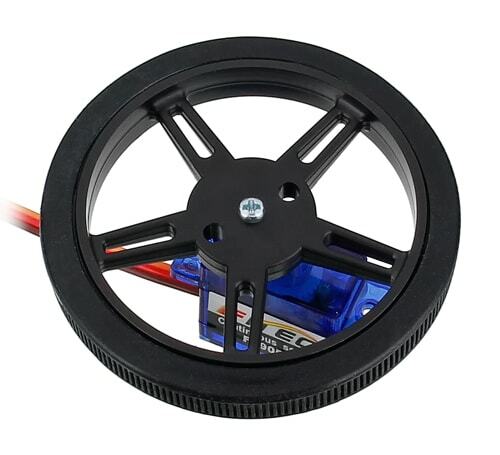 This wheel is made specifically for use with the FS90R continuous rotation servo. 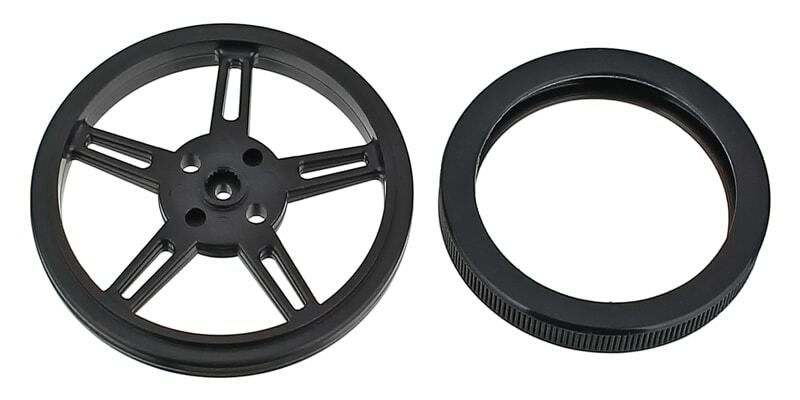 The wheel is made of plastic and has a silicone tire for added traction. The wheel fits onto the spline of an FS90R servo and we include a screw to use for securing the wheel to the servo's spline. 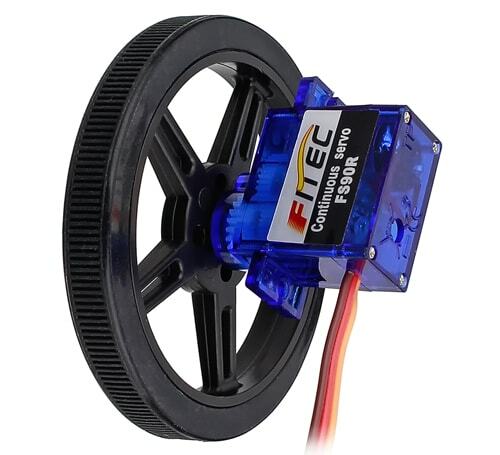 The spokes of the wheel allow you to use a sensor such as our CNY70 optical sensor to count each time a spoke passes by the sensor and therefore count the revolutions of the wheel and calculate the distance traveled. 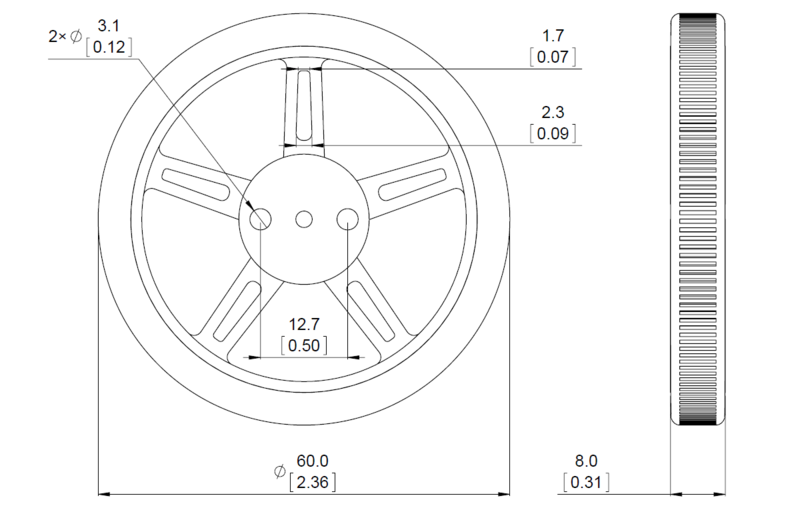 Since the wheel has a circumference of 188.5 mm (7.42") and has five spokes, you can easily get 1/5th rotation precision. So you could measure distance traveled with a precision of 37.7 mm (1.48"). Of course the precision could be improved through modifications such as adding an encoder style disk to the wheel with more reflective/non-reflective bands/lines or by using an additional optical sensor.